Corvus Belli is hitting the fantasy sports scene with Aristeia! But how do you actually win the game? What are you supposed to do out there on the pitch? Well, there's actually a couple different ways to go about it, depending on what scenario you're playing. All of them involve getting victory points, but how you score them is different in each. And, in one, it's different every turn. 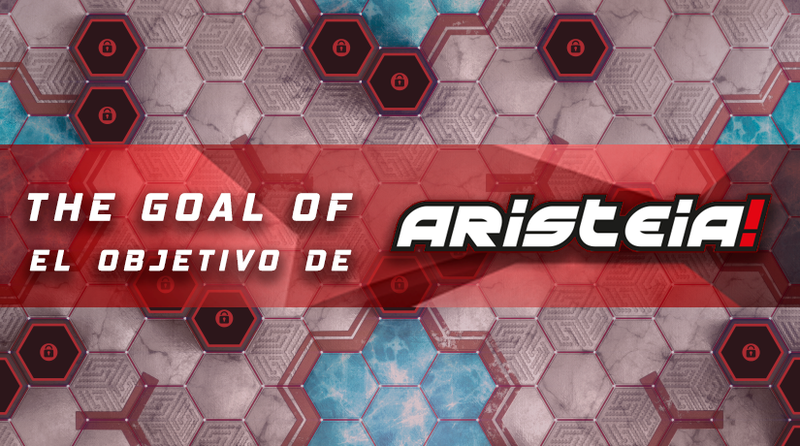 What do you have to do in order to win Aristeia!? The goal of the game is to get more Victory points than the opponent. Achieving these points will depend upon the Objectives set by set by the scenario. So each of the Aristeia! scenarios gives the player a different challenge. In each of these Scenarios the game will end either at the end of the fifth Round, or when one of the players gets eight or more Victory Points. In case of a tie, the winner will be the player with the most Frag tokens. A player will get a Frag token by sending an opponent’s character to the infirmary.